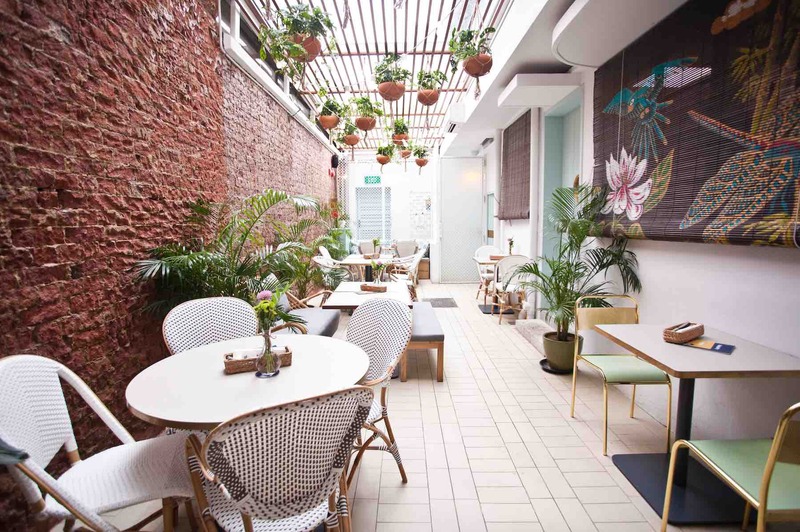 Located in the hippy enclave of good old Tiong Bahru, Merci Marcel Singapore offers a much needed peaceful retreat from the hustle of the city. 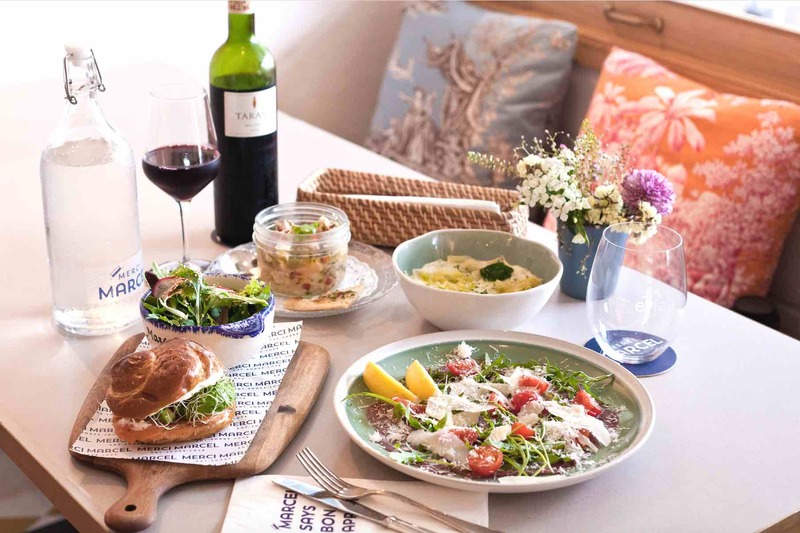 It promises to bring onboard relaxed French social dining together with a unique lifestyle concept for Singaporeans. 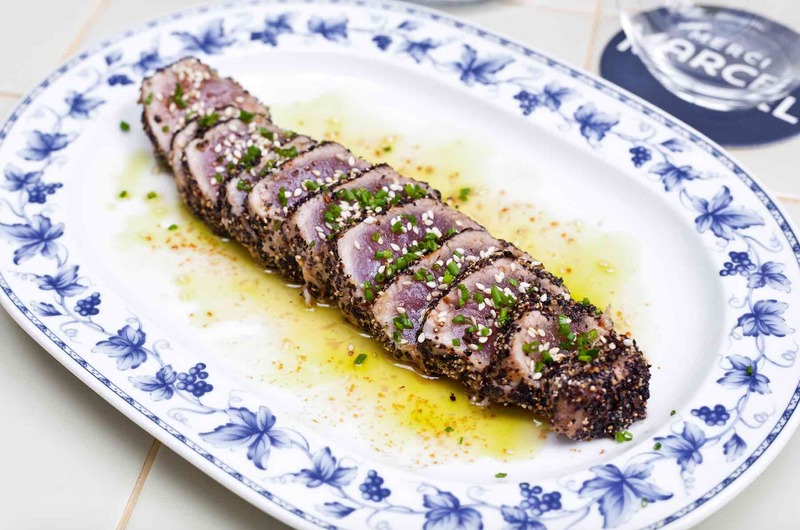 Both an all-day dining destination and an independent boutique, Merci Marcel establishes its bohemian point of view and embraces the artisanal spirit in its curated offerings that span gourmet food, fine drinks, art and lifestyle products. Follow us as we explore all that Merci Marcel has to offer! Merci Marcel offers a generous space of 1,450 square feet and has the capacity to host up to 70 people with three distinct spaces – the Lounge, Café Chic, and the Garden Patio. Open throughout the day, the establishment is perfect for after-work dinners, casual weekend get-togethers or short coffee catch-ups over a midday meeting. 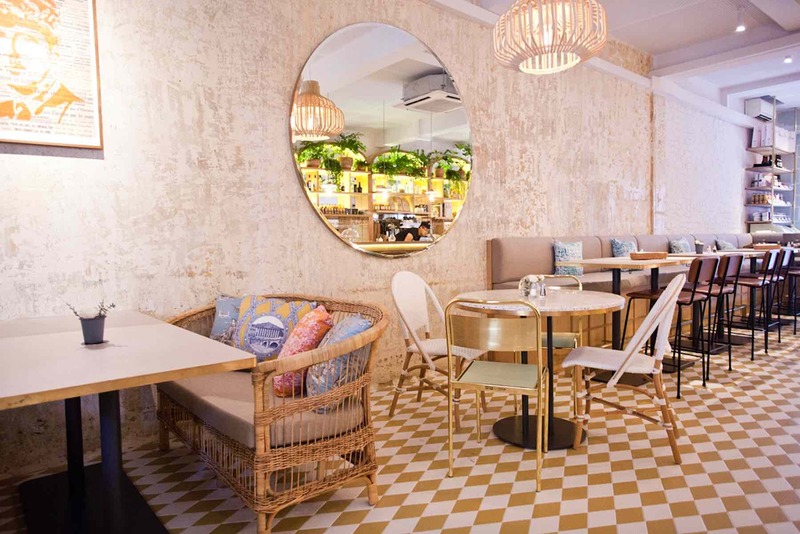 Taking inspiration from the French Riviera and the Balinese tropics, Merci Marcel showcases a vivid, citrus-toned palette, exposed walls and beautiful mustard mosaic tile flooring within its space. 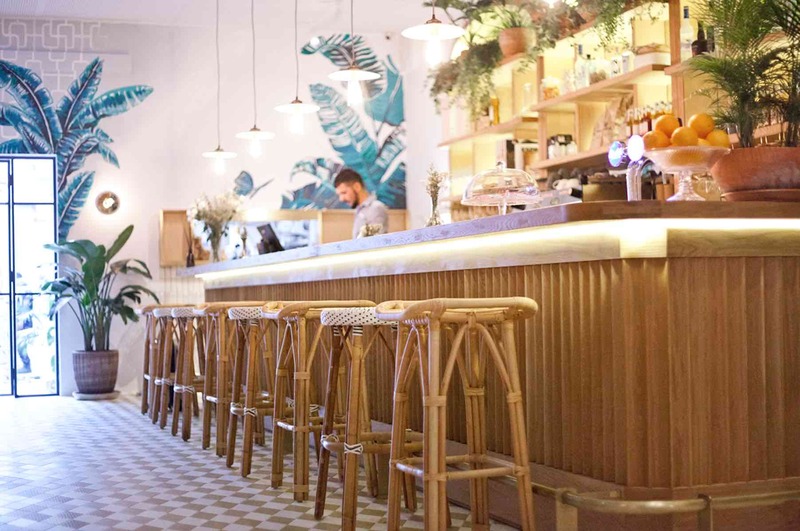 Lush, leafy greenery frames the space which complements the white and cappuccino toned rattan furniture and bright splashes of artwork* courtesy of local as well as international talents perfectly. 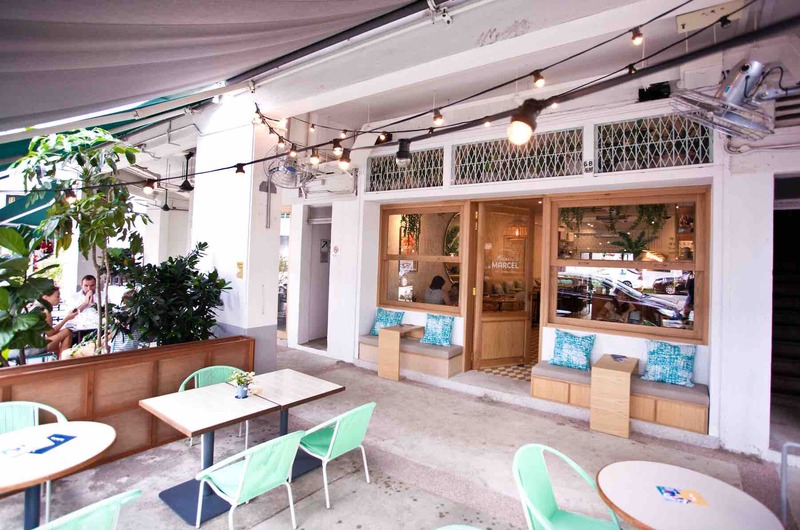 Not forgetting the fact that it is placed within the heritage Tiong Bahru district, Merci Marcel also retains original fixtures within the shophouse space, including exposed grills and window tints. For its evenings, Merci Marcel brings to the table French social dining with a creative ‘tapas’ menu that is specially created for sharing. Savour a fresh take on traditional French cuisine with a starter of Duck Rillettes, where the silky paste is served up with delicate melted camembert cheese and marinated pear. Extend the pleasure with the selection of main courses, where the Tarte Flambée, a classic dish from the region of Alsace, is elevated with buttery blue cheese and asparagus. 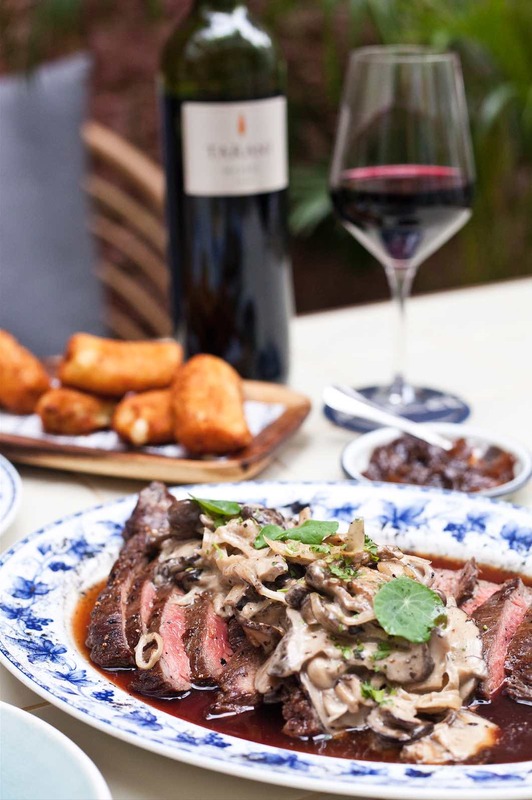 The pièce de résistance on the menu is the Australian Angus Beef (400gr), a generously portioned select cut grilled to caramelised perfection and served with creamy seasonal mushrooms, beef jus reduction and burnt leek. 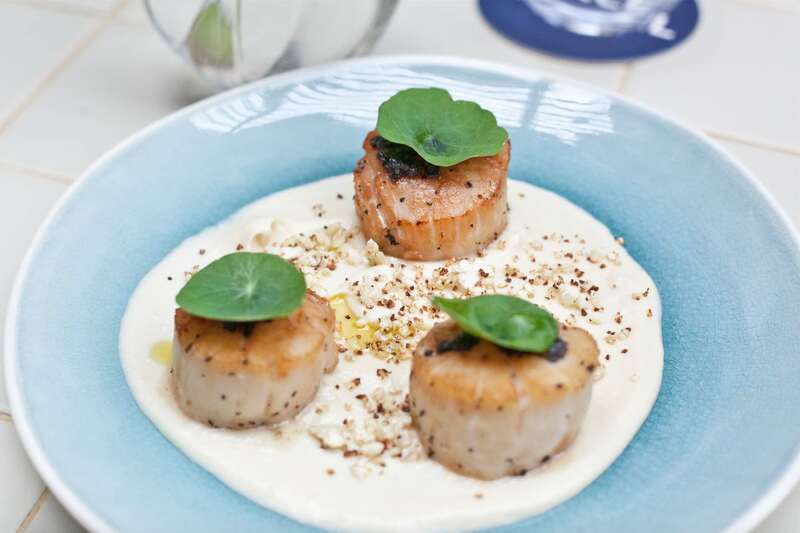 and Pan Seared Scallops with cauliflower crème & couscous are delicious alternatives if you have a personal preference for seafood. To complete your meal, add on a side of Ravioles de Royans, a French specialty of the Dauphiné region that is given an unexpected twist, and intertwined with Switzerland Tête de Moine cheese. 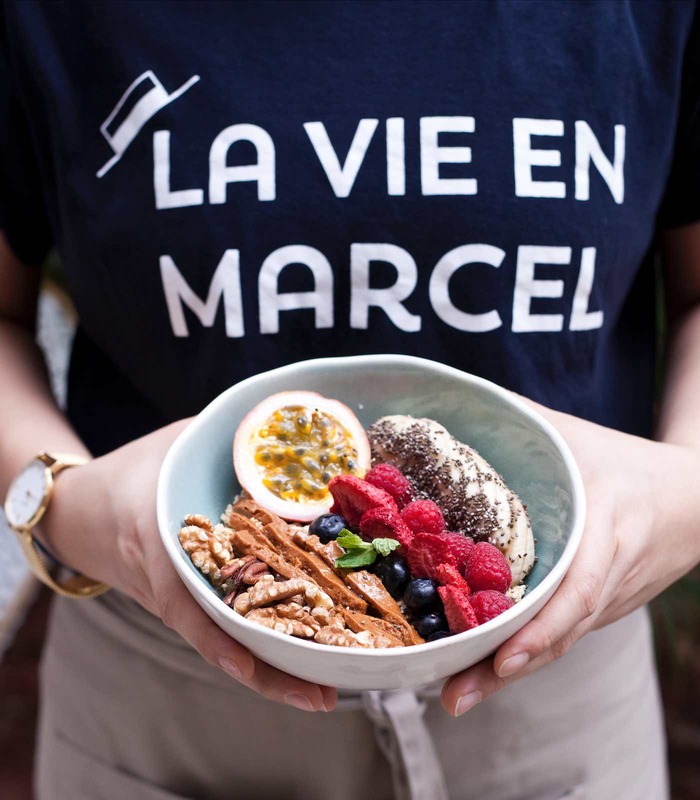 Other than its dinner menu, Merci Marcel’s daytime and brunch menus also share its principles of using only the finest ingredients in its dishes, where pastries are made with 100% French Butter and baked fresh daily. Vegetables and other fresh produce are sourced and purchased directly from Tiong Bahru Market just around the corner every morning. Merci Marcel only uses organic eggs in all of its dishes. 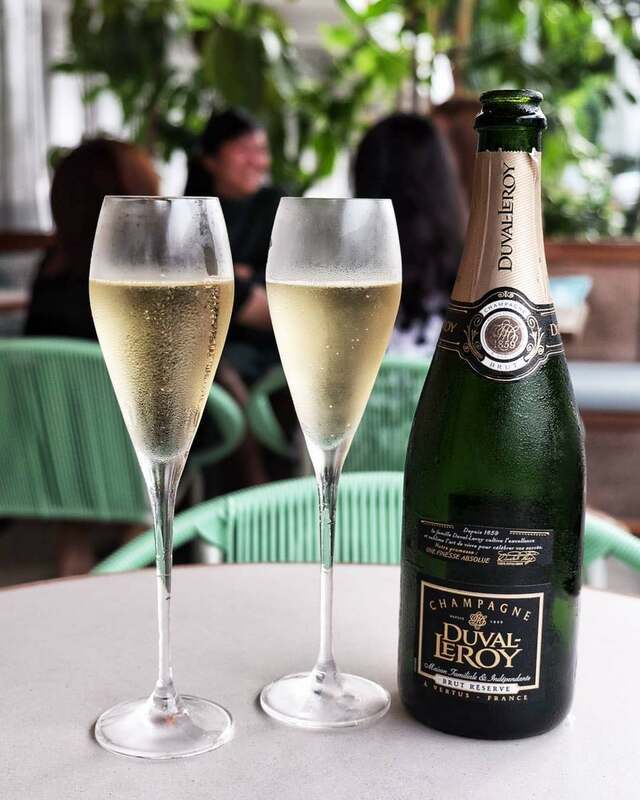 Commanding a wide variety from imported French wines, ciders and beers, exclusive 100% organic UMÀ Iced Tea to Patrick FONT Nectars, locally roasted coffee by Tiong Hoe Specialty Coffee to the finest bubbly, Merci Marcel’s beverage list promises a good drink for everyone. 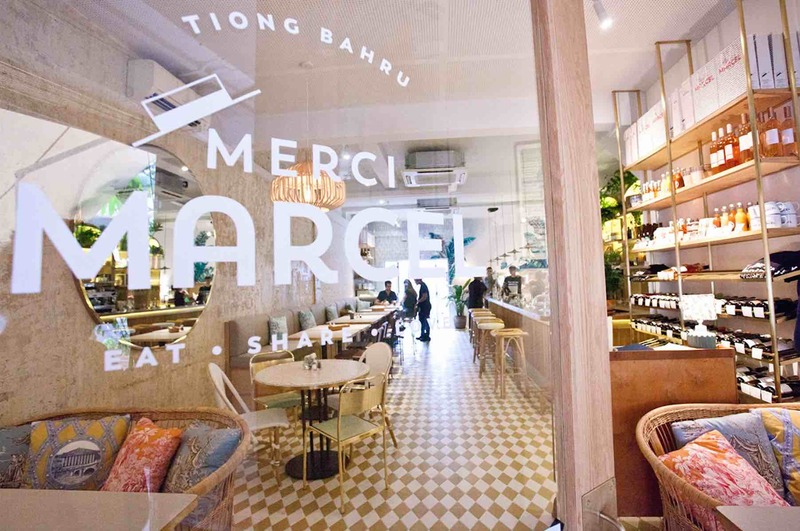 Merci Marcel also introduces the best of French boutique wineries to Tiong Bahru and chooses only passionate producers with characters and high-quality vineyards. The wine list is cheekily organised by mood across categories like ‘Dinner with friends’, ‘Date night’, ‘100% organic’, as well as types of wine including ‘Discreet Red’, ‘Charming Red’, and ‘Welcome White’ – making it a cinch to order the right wine accompaniment for any occasion at accessible price points. 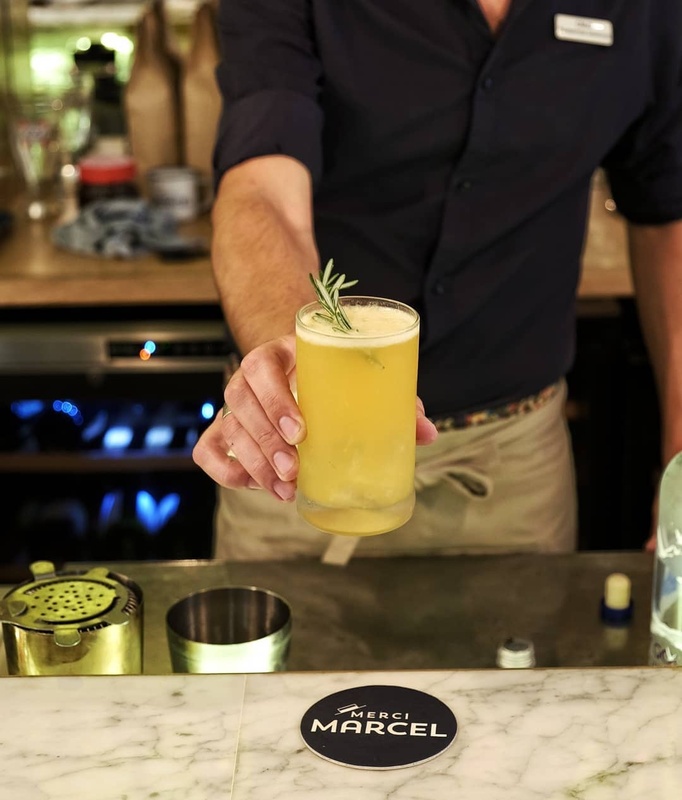 Collaborating with La Maison du Whisky for its cocktail list, Merci Marcel features an exclusive menu inspired by its location, utilising only exceptional spirits such as Napue Gin, Fair Vodka, and Monkey 47 Gin. Base spirits are paired with Merci Marcel’s exclusive juices and teas to shake up concoctions like the La vie en Marcel and Tiong Bahru Spirit. 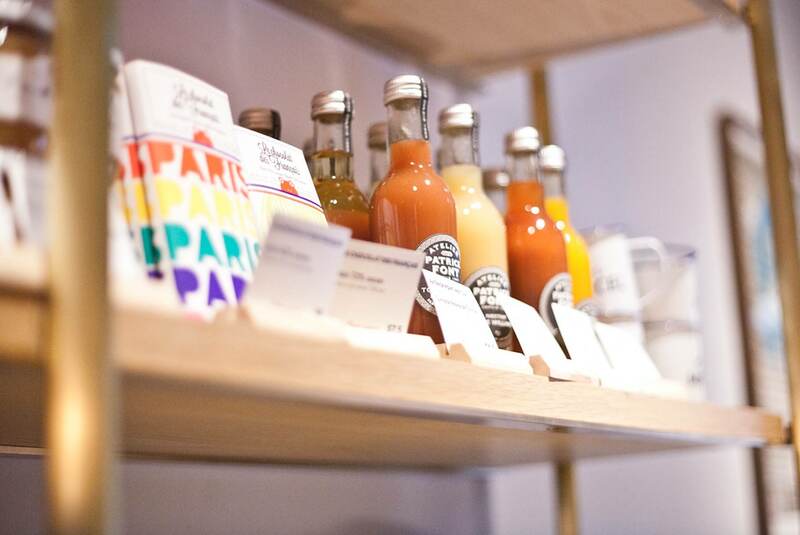 Beyond contemporary French gastronomy, Merci Marcel also provides a unique retail experience through offering high-quality artisanal food, drink as well as lifestyle products that focus on small batch production and ecological sustainability. Working with independent winemakers and small-batch producers, the Marcel Wine Cellar offers wine from over 80 exclusive wine estates that are imported in reefer conditions, presenting the diversity, richness and quality of France’s wine offerings. The Marcel Cheese & Charcuterie Corner features cheeses sourced from artisan producers in Europe and air-flown to Singapore weekly, complemented with 100% organic Bayonne cured ham sourced directly from la Maison Salaison de l’Adour. All wines, cheeses and cold cuts can be enjoyed in the Café, or to take home. The Gourmet Corner highlights an extensive range of premier brands created by small producers from France. It includes quality fruits juices from Patrick FONT Nectars, iced teas from UMÀ, gourmet jams from la Cour d‘Orgères and chocolate from Le chocolat des Français. Merci Marcel is the exclusive distributor for all of the abovementioned brands. Merci Marcel also carries a lifestyle range of well-crafted goods ranging from chic design eyewear from Parisian brand IZIPIZI, beautiful and functional tableware by Falcon, trendy watches with a focus on materials and quality from Cluse, and even Merci Marcel’s own capsule collection that spans tote bags, enamel mugs, French Breton bowls and t-shirts emblazoned with “La vie en Marcel”. 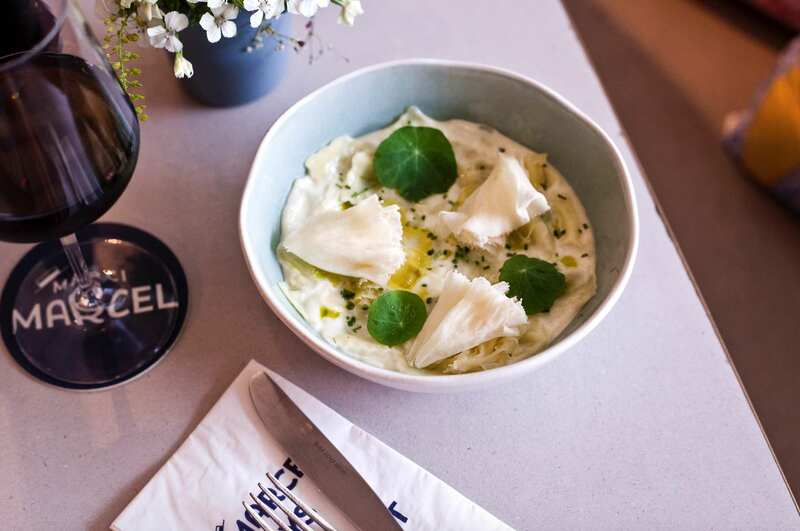 As Merci Marcel expanding its lifestyle and F&B ranges, you can look forward to its retail offerings growing and evolving across the seasons.